Times have changed a lot since I was a child. Back when I was in elementary school, we were lucky to have one of the old apple computers in a classroom. There were no computer labs for classes to go to as a group. There were no Smart Boards, class iPads, or other technology related resources for teachers to use like we have now. My boys will never understand how lucky they are. They not only get to go with their class to learn how to use computer, but there are educational games that really teach and help them to master skills for multiple subject areas. Of course, as lucky as they are, it made me wonder if our children are really getting the technology education at school that they need to compete in the world today. Young children need these experiences so they can excel and do more when they get into middle and high school level classes. This is a post that I wrote last year for another project that really got me thinking. Technology education for kids is extremely important. The reality is that many schools (public and private) do not have formal technology curriculum for the elementary age level. Schools that used to have a full time Technology Education teacher, now may only have them part time or not at all. When budget cuts are made, this is an area that seems to suffer. This is not only true in the Capital District, but across the United States. If we want our children to be able to compete with people from around the world, we need them to be able to use computers. This does not mean that they should simply be good with applications, games, educational software and websites. No, our children need to learn the basics of keyboarding, word processing, utilizing spreadsheets, and presentation programs like PowerPoint. Classroom teachers now need to juggle even more during the academic year. They must incorporate technology into their curriculum and in most cases teach it themselves. During this time, kids need to be shown how to use the internet. They must be taught about internet safety, how to do effective research, what reliable sources are on the world wide web, and more. Thanks to the ever increasing role of social media, even elementary aged children know about Twitter, Facebook, instant message, blogs, and more. Protecting our children is key. My plan is to expand on this topic in future blog posts and/or magazine articles. First, I would like to hear back from you about your experience with kids and computers. 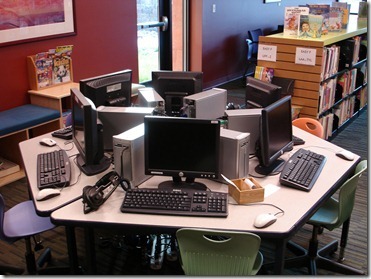 Are computers in your child’s classroom, or within a lab at school? How are they utilized? 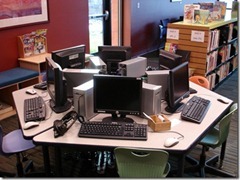 Does your school/district have a formal technology education curriculum? If you answer yes, is there a specific technology check list of skills that students need to accomplish by certain grade levels? Is there a teacher that is certified in Technology Education or does the classroom teacher doing this when they use a computer lab? Is technology/computer class listed on your child’s report card? If you have anything else to share about your current or past experience with Technology Education classes within the elementary school grades, please share. Feel free to answer in the comments below, or reach me via my contact form above if you have more to share that you are not comfortable with leaving in this manner. Thanks in advance, I look forward to hearing your experiences. Disclosure: This post was previously published on a project I worked on. The text is mostly the same, but I placed a new introduction based on current thoughts. Technology education is one of the biggest fails at every school that I have known. Even when schools take on the basics such as teaching keyboarding, PowerPoint, etc. 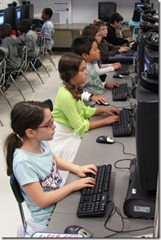 ; most fail to encourage children to be creators of technology and not just passive consumers. But with all that is expected in schools, perhaps technology is best covered outside schools. Teaching kids to be savvy and safe users of technology is a time-consuming, and ongoing, endeavor – a journey that demands a responsible adult co-pilot. I have a Master’s Degree in Technology in the Classroom. When I was in the classroom it seemed to me that many of our teachers (and some were more old school) were not interested in using technology in their classrooms. They felt that it was for the Technology class and not for classroom use. There was very little that could be said or done to convince them otherwise. I know that when I look at schools for my kids, I look at how much technology is integrated in the classroom. I also know that there are some parents (and teachers) feel that too much technology in the classroom and that as a result their children miss out on the foundations. I disagree, as you mentioned there are many ways for schools to teach both technology and content at the same time. Sorry I am unable to answer this question because it has been many years that I have been involved with elementary schools. Have a great weekend. We have computers in special computer labs for the kids. The computer in the classroom are mainly for the teacher’s use to show stuff and run programs. Yes..there are special IT instructors to teach the kids the different It programs. From Grade 1- word/excel Grade 2- powerpoint , Grade 4 onwards I know there is dreamweaver, adobe photoshop, adobe..cant remember but it was animation base. My little one is not old enough for school yet but we had a computer lab in our school and computers in the classrooms. We also had to take a computer class. Melissa Rheinlander´s last blog post ..#Aloha Friday… Hunger Games?? I think our school is catching on. They do have computers in the class room and the kids get to used them educationally. They also have after school computer programs. Seems interesting when I last visited and was given the tour because I wanted to know what my son was learning. My kids school has computers in all classrooms and are now trying to get funding for iPad labs for 4th grade and older. I think the younger kids already have iTouch labs.